With Graphic 45, it’s all about the layers! 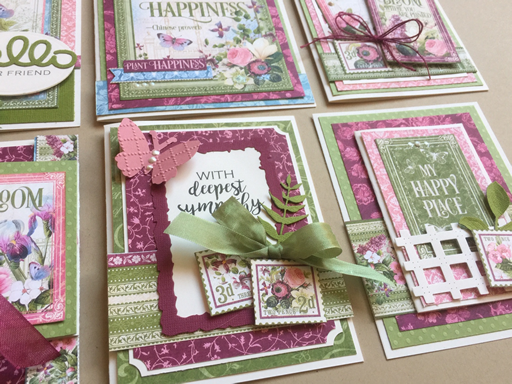 We’ll layer patterned paper & die cuts then add details to create 6 elegant cards. Bring Basic Class Kit, scoring tool, pop dots, liquid glue, Glue Dots, NUVO Drops: Ivory Seashell, & Wink of Stella Brush: Clear OR Spectrum Noir Sparkle Brush: Clear Overlay.